From the London Docklands to Singapore’s Marina Bay Sands, urban development authorities (UDA or UDAs) have been responsible for the delivery of many of the world’s most impressive municipal projects. The redevelopment of abandoned industrial estates; re-imagination of under-utilised coastal and foreshore areas; creation of Olympic-scale urban villages; and the regeneration of unexceptional city centres have all been facilitated by entities endowed with a suite of enabling powers working to achieve ambitious goals. 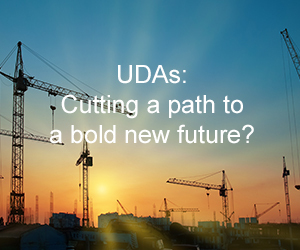 Francelle Lupis, Principal and Rachel Murdoch, Lawyer – Greenwood Roche, provide a compelling case for what UDA’s could do for New Zealand’s urban-scapes. To read the full article as published in the August issue of RMLA’s Resource Management Journal, please click here.